I have many roles and many passions in life, one of which is being a full-time teacher. My job is to teach young children the ABCs and 123s. My passion is to help them learn to recognize their own potential, to acknowledge their strengths and to view life as one, big adventure. Over the years I have learned that in order to be effective in my role as teacher, it is essential to model the behavior I wish to see and provide a living example for the wee ones. However, I must admit that it is not always easy. You see, in order for me to be this real-life example, to show the children what I wish for them, I must truly believe in myself and my own capabilities. I must approach my own life with a sense of adventure, courageously venturing into the unknown to try new things and embrace new challenges. Unfortunately, I must admit that I am not an innately “courageous” person. Another one of my roles in life is that of mountaineer. Mountaineering, however, was not always a passion for me; it is something that developed slowly over time. 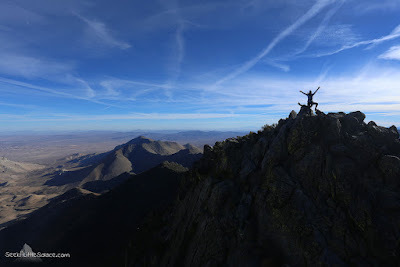 My husband and I have been hiking and climbing together in the Sierra Nevada and Mojave Desert for almost 20 years. Together we have had many grand adventures in the great outdoors and yet, you might be surprised to find that I never really saw myself as being an adventurous gal. I am afraid of heights, the thought of danger terrifies me and boldly trying new things doesn’t come naturally for me at all. I am, and have always been, filled with fear and self-doubt. Just like you. And yet, I live a very adventurous life and people often say to me, “ I wish I could do what you do.” Well, if I can, then certainly you can, too. I continually encourage people to stop and think about the meaning of it all…what does it mean, this word “adventure”? According to Merriam-Webster, an adventure is “an exciting or remarkable experience.” Well now, if you stop to think of it in that way, aren’t we all capable of filling our lives with exciting or remarkable experiences? You don’t have to climb a mountain, backpack through the woods or brave the river rapids to experience adventure. Sometimes adventure comes in simply trying something new. Try to see simple, everyday opportunities as exciting or remarkable experiences and you will open the door to a whole new world of possibilities. It can be difficult, terrifying at times, to put yourself out there, to brave the unknown and take on new challenges. It takes courage. But what does it mean to be courageous? “To possess the mental or moral strength to venture, persevere and withstand danger, fear or difficulty.” (Again this is according to Merriam-Webster.) I love this definition of the word because it acknowledges the fact that courage does not necessarily come without fear. In fact, I have learned that for me, fear is an essential part of the experience of adventure. Think about it. If you can learn to acknowledge your fear, carry it with you into an experience and take on a new challenge in spite of it…well, imagine the satisfaction, the enhanced sense of accomplishment in experiencing achievement having dealt with that fear. 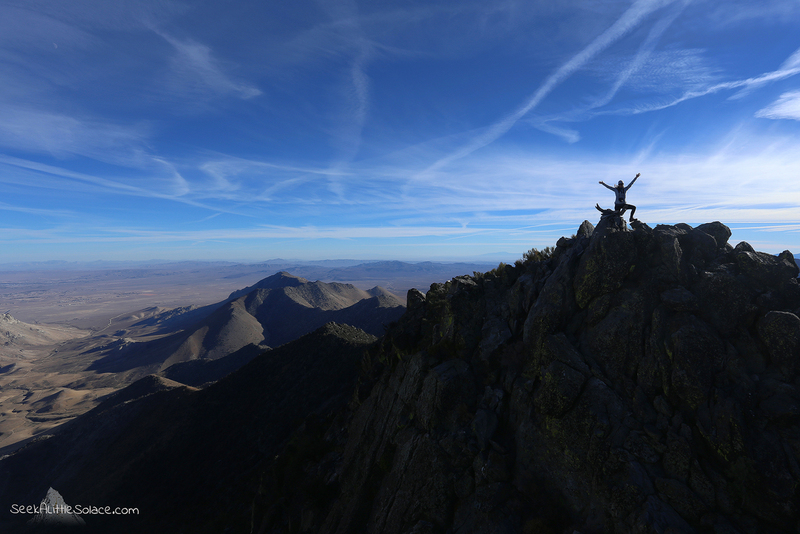 Your own personal adventure may not seem as grand as climbing a mountain peak. Sometimes it takes the greatest courage to make simple changes in your daily life. Maybe you want to change your diet, but you are afraid to let go of your favorite comfort foods. Embrace the adventure in discovering the many different dishes that have the potential to bring you, not only pleasure, but improved health and vitality, as well. Perhaps you want to try a yoga class, but you’re afraid of how you will look to all those beautiful yogis so gracefully standing on their heads. Truth be told, we all care about appearances. It matters to us what other people think, it’s human nature. But imagine the sense of freedom, the excitement in finally being able to touch your toes despite your fear of inadequacy. Accepting the fear and doing something anyway…that is courageous. Filling your life with exciting and or remarkable experiences…that is adventure. So, go on now, put on those stretchy pants! Embrace the spirit of adventure. 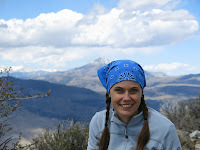 Rebecca Thomas is an educator, blogger and outdoor enthusiast living in Ridgecrest, Ca. Rebecca and her husband have been hiking, climbing, backpacking and exploring the wilderness areas of the Eastern Sierra Nevada and Mojave desert for nearly twenty years. Together they enjoy pursuing and advocating for a healthy lifestyle which includes outdoor activity and cooking with whole foods and organic seasonal produce. As an educator for young children in the community, Rebecca is passionate about helping children recognize their individual potential, cultivate their innate love of learning and develop an appreciation for nature and the environment. With the help of her husband, Rebecca created her blog, Seek a Little Solace, as a creative outlet for seeking inspiration and sharing her love of nature, adventure and photography, as well as her explorations in cooking with natural ingredients. She has since grown a deep appreciation for the community of mothers, teachers, friends, family, bloggers and small business owners who continually support her passions and inspire her endeavors.